In the Aftermath : What Price Three Million Apprenticeships? As ever a much-needed exposure of the emptiness of promises on employability, apprenticeships and the like from Martin Allen and Patrick Ainley at education, economy and society. During the election, Tory promises to young people never got much further than David Cameron’s election pledge to create another 3 million apprenticeships during the next parliament. He provided few other details apart from outlining how the new opportunities would be at least part financed by cutting benefits for unemployed young people. 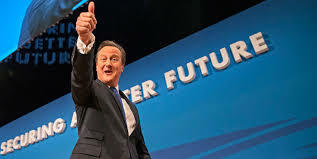 With the election days away, Cameron also promised that £227 million raised from Deutsche Bank Libor fines would be used to create 40 000 apprenticeships for 22-24 year olds who’d been out of work for 6 months (The Guardian 28/01/15). In fact the Tories plan to abolish long term youth unemployment, by replacing the Job Seekers Allowance with a US ‘workfare’ style Youth Allowance, where failure to accept a training offer or participate in voluntary and community work will lead to this being withdrawn. Regardless of Cameron’s intentions though, government has little control over how many apprenticeships are created, let alone at what level they are being offered. Unlike the ‘nationalised’ German system –often cited as a successful model to emulate and where apprenticeship numbers are planned by employers, state and trade unions, where training is tightly regulated and where an apprenticeship provides a ‘licence to practice’, the UK depends on apprenticeships being generated largely by market forces and employer demand. New arrangements currently being piloted, will defer further, decisions about recruitment and training to individual employers.